Being a part of Melissa’s book launch for her newest book, Simple Organizing was exactly the kick in the pants I need to tackle my kitchen towels! 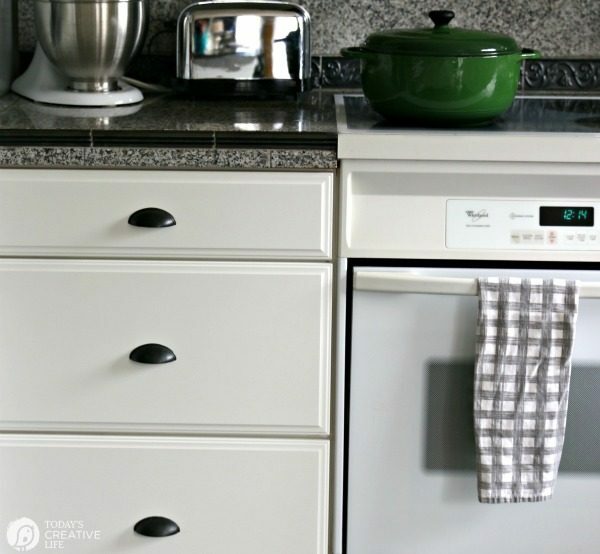 I’m sharing my Simple Organizing Solutions for Kitchen Linens today as one of my Clutter Confessions! If you’re on Instagram, you may have seen some of my stories. Follow me here. 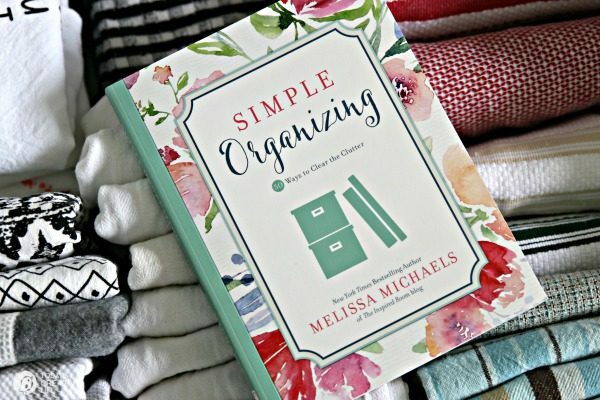 Preorder your copy of Simple Organizing by Melissa Michaels and enter to win an amazing prize package designed to help you stay organized. 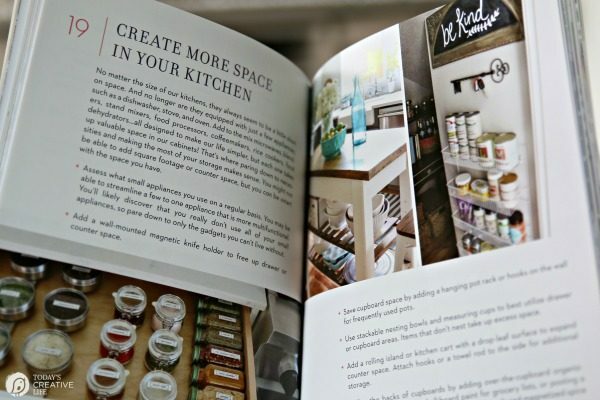 Inside the book, discover more than 300 simple and stress-free organization tips to inspire you to streamline your life and maintain order in every room. Visit www.simpleorganizing.net for more details. You know how you have those kitchen drawers that go neglected? 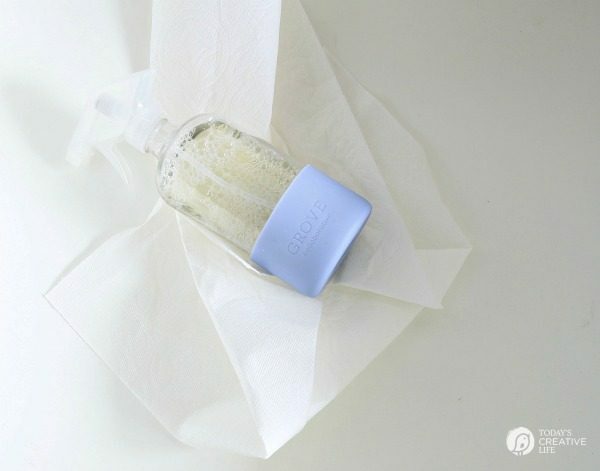 The ones that you vow to clean the next day? We all have them! Well, the drawer that was OUT OF CONTROL for weeks, maybe even months was my kitchen towel drawer. The silly thing is, it’s not a hard drawer to organize… but obviously it’s hard to KEEP organized! 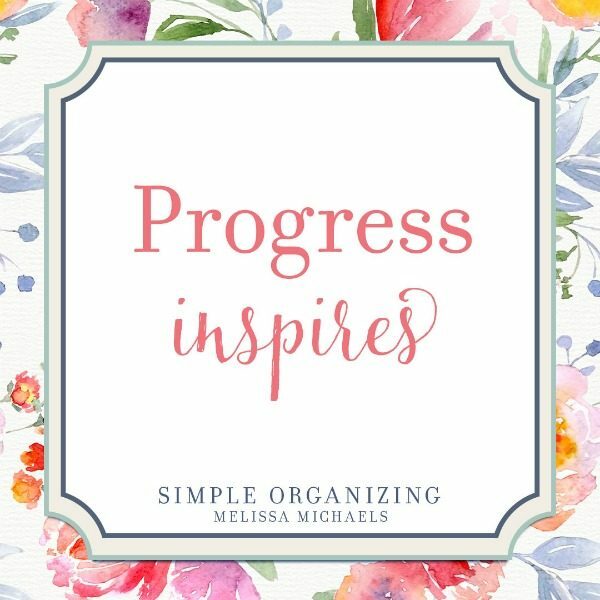 Reading Simple Organizing – 50 Ways to Clear the Clutter by Melissa Michaels was just the push I needed to tackle this thorn in my side. 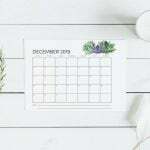 I’ve written about Melissa before when I helped her launch her Make Room for What you Love Book and also added Simple Gatherings to my list of books for Creative People. All her books are full of great ideas for simple living. She has 8 books and you need them all! Use my affiliate links to grab yours. This is a drawer we use daily. It usually stores our dish towels, a couple of pot holders, dishcloths and our floor mop pads. The messiness of it was causing me a little stress every time I opened the drawer. 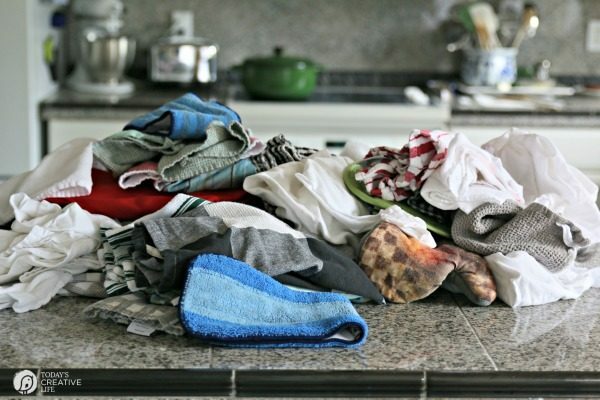 I could never find what I needed and my dish towels were getting SO wrinkled! WHY didn’t I just take a few minutes and clean the darn thing? What a great return on my investment! Because the 15 minutes I finally took has brought way too much joy than a kitchen drawer should. But when your house is tidy, you feel better. I emptied everything out and piled it all on my kitchen counter. Even though it’s not a drawer that has food in it, I was surprised that it still needed wiping out. The corners had a bit of dust and along the edges. 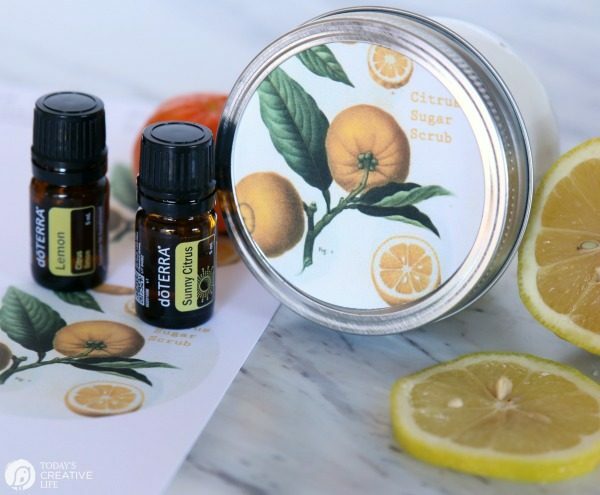 I used a non-toxic cleaner I made with cleaning concentrates from Grove Collaborative. First I sorted into categories. Towels, dishcloths, pot holders, floor mopping pads. As you sort, you may find items you no longer use or want. Get rid of them! Only keep what you need and like! Once I had everything laid out by type, I grouped like items together. I get most of my towels from IKEA and Grove Collaborative. All my really cute ones are upstairs with all my photo props. Because I knew how I wanted to arrange them, I made sure to fold everything the same. Not all of my dishtowels are the same size, but I made it work. I usually fold lengthwise in half, then in half again and again, and again. I also like to fold in half, then by 3rds, then half. So confusing to explain. 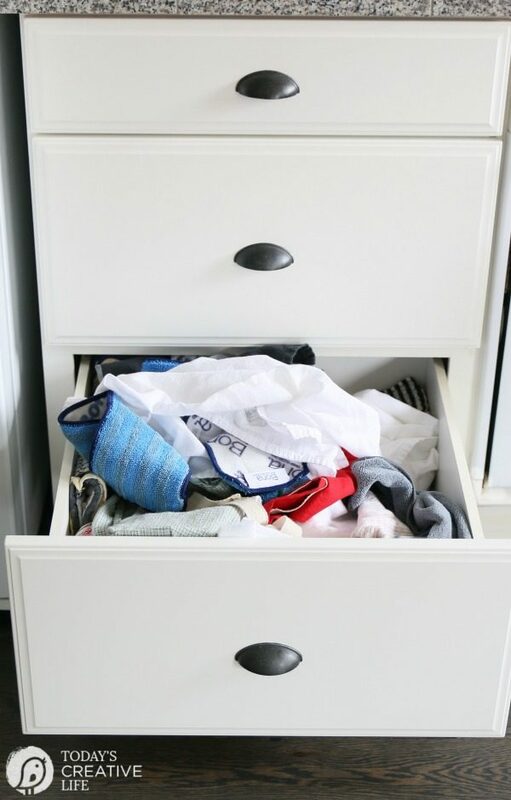 Depending on how deep your drawer is will determine what the best way to fold. There are actually YouTube Videos on this! In the past, I’ve always stacked my dishtowels. Obviously, that wasn’t working, so I thought I’d try arranging in a way so I could see what I have. I love it! It makes me happy every time I open the drawer. Doesn’t that look better? And it’s MUCH more functional! 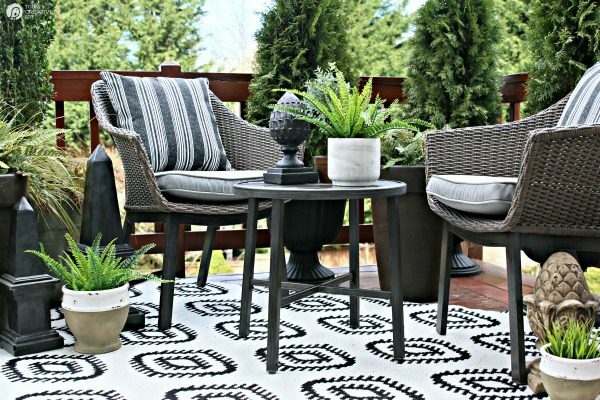 Now I could have styled this photo for a much prettier look, but that’s actually one of my pet peeves. So many photos for organizing are not functional and will not work in our homes. Pretty to look at, but not helpful. We don’t live in a magazine. 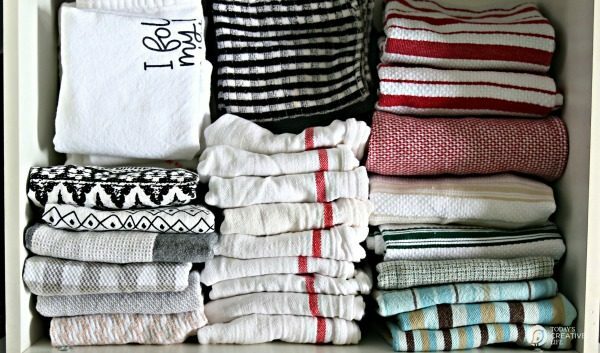 My Organizing your Linen Closet for Real People post has gone viral on Pinterest. Is it gorgeous? Nope. But it’s tidy and useable! That’s the way my kitchen linen drawer is. Real. 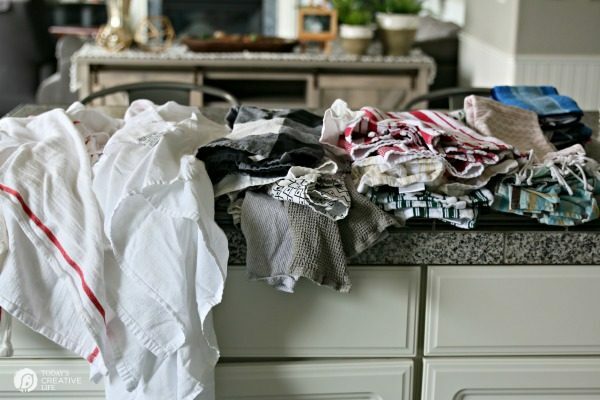 It’s a Simple Organizing Solutions for Kitchen Linens that is doable and will work. There is a team of bloggers helping Melissa kick off her book tour! We are all sharing our Clutter Confessions! 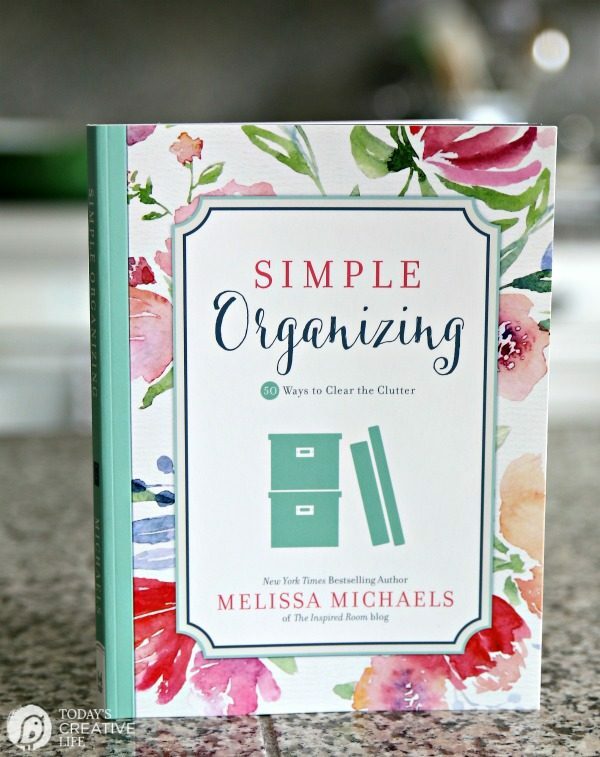 Popular blogger and home decorating expert Melissa Michaels invites you to join her and her friends in celebrating the release of her new book Simple Organizing with a week of blogs, prizes, and fun. Each day, visit another site to learn more about the book and win great prizes. 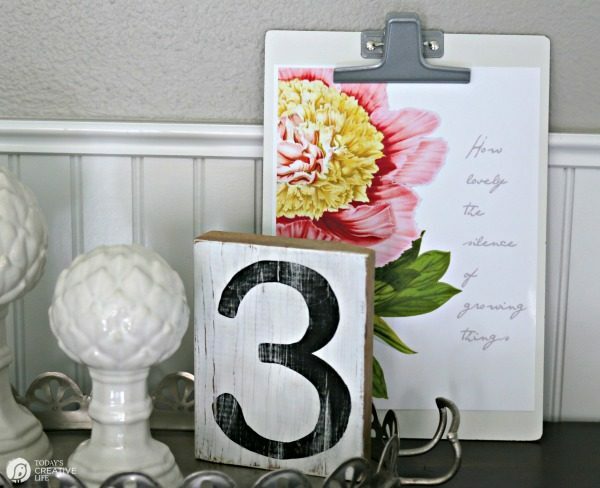 It all kicks off on Monday, April 2 at www.theinspiredroom.net See you there! I link to my linen closet too! All practical tips! This looks like another fabulous book of Melissa’s. yes! 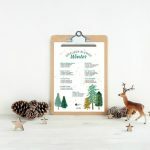 I love her books for their simple approaches to a cozy home! Appreciate the before and after photos. Hoping Melissa has some tips for that junk drawer that all of us have in the kitchen! Thank you for the before and after photos! The before photo is my towel drawer in the kitchen. Great idea to turn them on their sides! Yes, I would love to win Melissa’s book! Can’t wait to get a copy of Melissa’s new book! That’s why I usually just use the plain white tea towels from Target and the ones from IKEA. It looks AMAZING Kim! Love that. 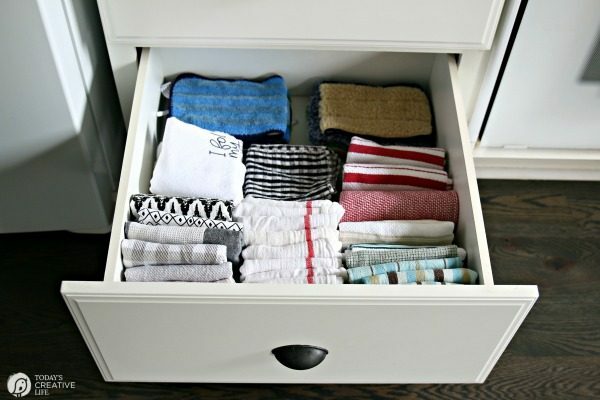 Way to tackle the drawer to make it prettier and so much more functional, too. 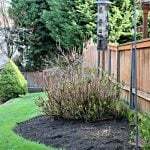 Thank you for sharing your post and clutter confession! SO FUN! Thanks for the kick in the pants to get started, Melissa! I’m going to do this to my drawer! Good idea to fold that way! Sometimes the simplest idea is what we need! I love it too! Hopefully it will work better! Thanks for sharing your linen drawer! Would love a copy of the book! Not only do I need to organize my kitchen linens, I need to replace a bunch of them. My shoe area is what gets me!! Ugh! Right? You should see my coat closet! My linens need help, too! I’d like a copy of the book. Mine seemed to need help daily. Hoping this new way of storing will last longer. Seeing this post reminds me that it’s time to replace my kitchen towels. I love how you put them in the drawer so you can see what you have. I’ve always stacked them and end up making a mess when I grab one that isn’t on top. That’s usually why I buy them by the dozen at IKEA or Target. Simple white tea towels. I have a few others but most are the IKEA kind. 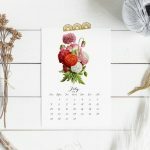 My first time on your blog. I love your comment, “but that’s actually one of my pet peeves. So many photos for organizing are not functional and will not work in our homes. Pretty to look at, but not helpful. We don’t live in a magazine.” I SO agree with that!! It’s one of my pet peeves also. I see such “pretty” rooms but they are not practical or functional. Gotta check out more of your posts! Good to meet a kindred spirit! Thanks for stopping by! All her books are fantastic! 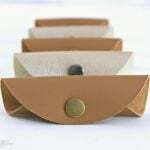 What a great idea to store the towels vertically, the Kon-Mari way! 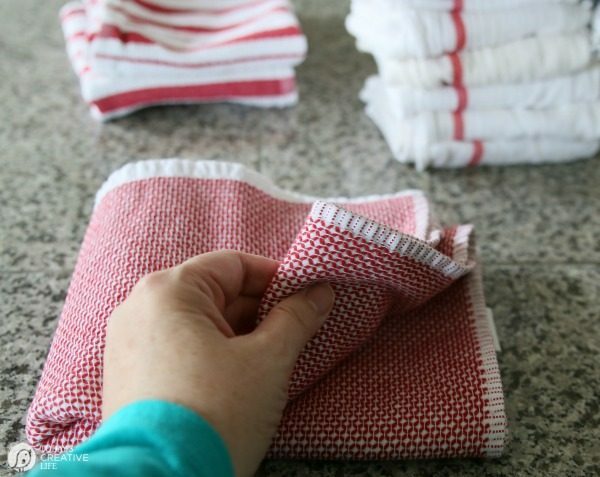 Such a simple idea but even after reading that book I never considered for kitchen towels—thanks for the tip! Yes! I showed my son how to use that method for his t-shirts, but like you, it never occurred to me right away to use it for dish towels! It’s crazy how a person never thinks to simply fold and stack a different way than usual. I never thought to do that with my dish towels but I love it! Now if I could find a post about getting the weird smell out of the cabinets that hold sheets and pillowcases, that would be awesome! I know! I stacked them for years and then I couldn’t see what I have! As far as smell…. If the shelves are wood, maybe try lining them with drawer liners. Some paper ones are scented. If you’re not opposed to painting them, you can paint with a Kilz paint to kill the smell. Junk drawers and closets are the worst. I am all about being real and what works. If it’s beautiful too great. If it’s neat and useable better yet. Thanks for sharing. It sounds like I need this book. I’m with you! It HAS to be functional and real. Of course, I want it beautiful too, but then I have to ask myself why? Some things are not for decoration. But… an organized anything has beauty to me! Thanks for the tip, I can use your idea for my tablecloth and napkin drawer which is a disaster. Yes! I’ve always dreamed of using Martha’s method.. she rolls them on those large cardboard tubes. But, who has room for that? Not practical. Thanks for much for the inspiration! I need to get started on my junk drawer! You’re welcome! Sometimes the teeniest spark is all we need!